The Xfm Twitter feed notes that the station can no longer be heard in Tyne and Wear, following a tweet from a listener unable to find the station in her presets. The new stop on the dial? 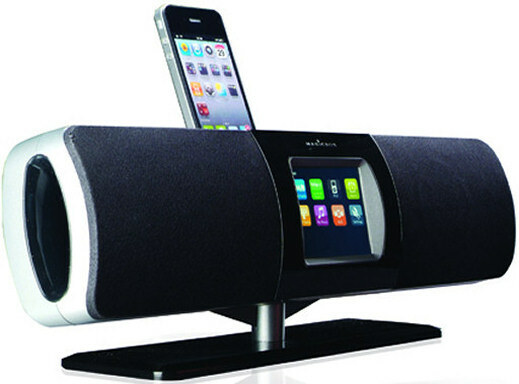 Like the sound of a recording music system? 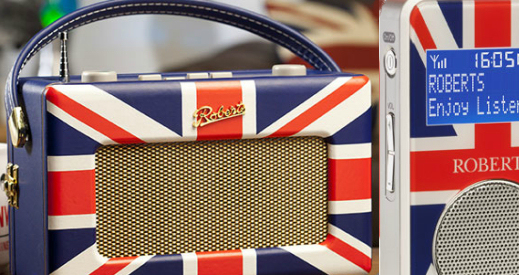 Share your clock radio and "turn off time"
A special version of the dinky portable DAB receiver mixes red, white & blue. 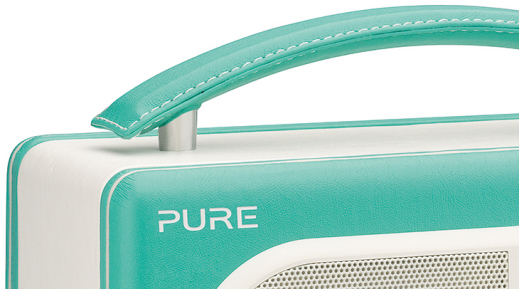 No fewer than ten colours available for award-winning digital radio. 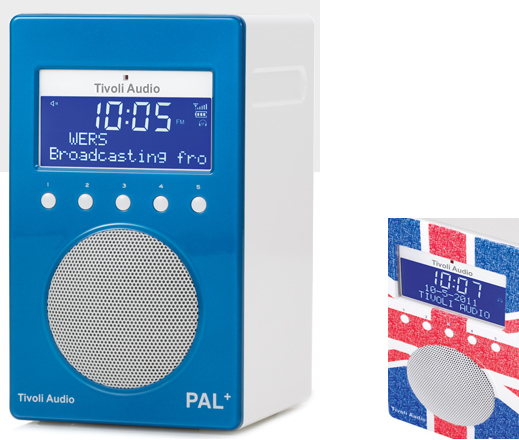 Tivoli is raising the flag with its latest Jubilee-inspired radio. In the mood for a summer of sport and Jubilee celebrations? Get some DAB kit in the red, white and blue colours of the Union flag and roll out the bunting. Report published that suggests DAB signals travel further than originally predicted. 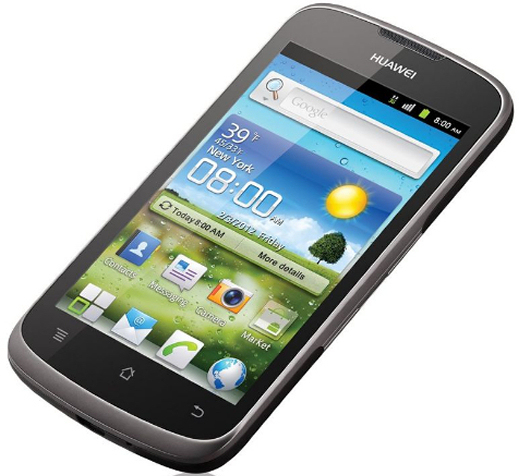 Radio's going wireless with the Archos 28 - worth getting now it's at a discounted price? The Voice will offer local news, information and events guides for Bude, Bideford and beyond. 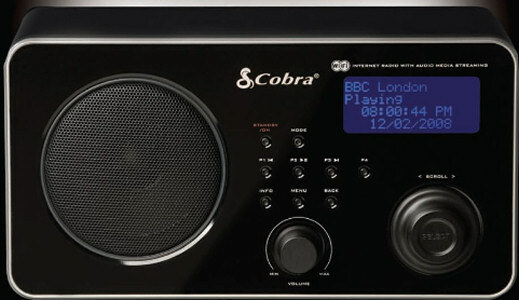 A new DAB digi transmitter on BT Tower lets you hear BBC national stations more clearly. 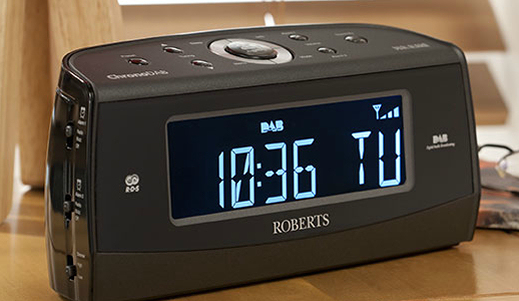 Pure's new DAB digital alarm clock radio features rising volume and clearer display. 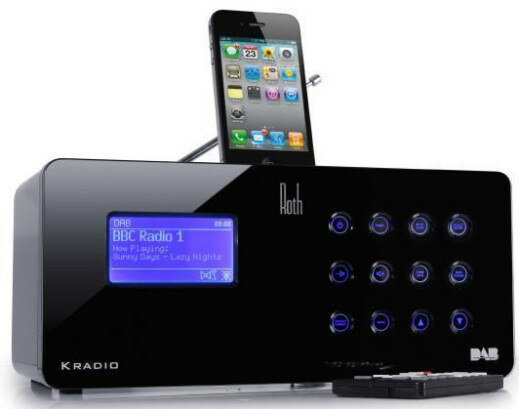 KRadio offers a feast of radio and docking functionality - and all in stereo, too. 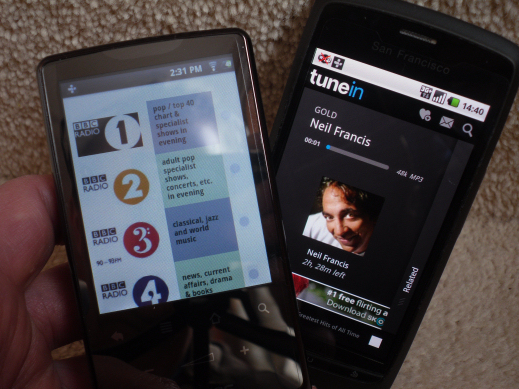 High res screen makes radio apps and BBC iPlayer both a visual and audio experience. 'Project Barcelona', the BBC's own version of Apple iTunes, a paid-for service that allows users to download recent and archive BBC programmes to watch on their iPad, PC or Mac after the normal 7-day catch-up period, has recently been announced in a speech to the Royal Television Society. The service will offer both TV and radio shows and will be separate to BBC iPlayer, although will almost certainly share the same visual style. 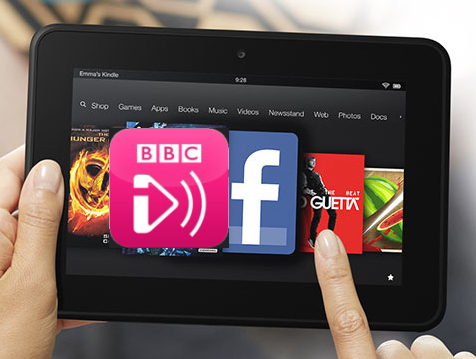 The iPlayer app interface for the new iPad is likely to make use of the device's improved screen resolution of 2048 by 1536 pixels, however, archive TV programmes (and radio content) are unlikely to make use of the extra resolution available. Photos of presenters and any other visual tidbits will simply be scaled to suit. Nevertheless, there's little doubting that even with upcscaled content, the Apple's improved display will still make watching TV programmes and choosing radio shows to listen to a compelling experience. 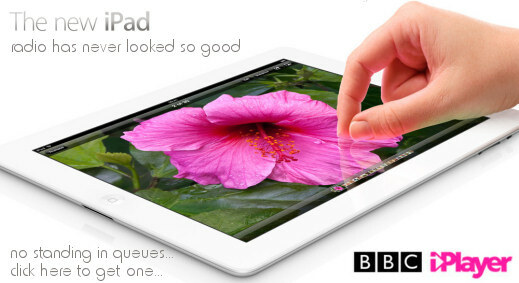 If you want a new iPad, click here to buy one. 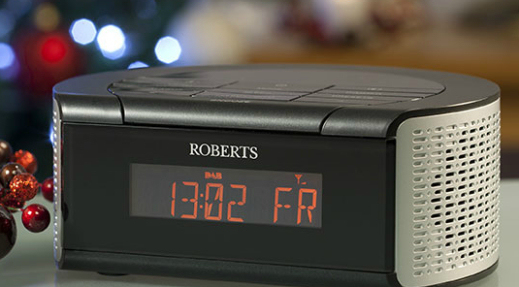 The budget Frontier-Silicon powered receiver features alarm clock functions and clear screen. 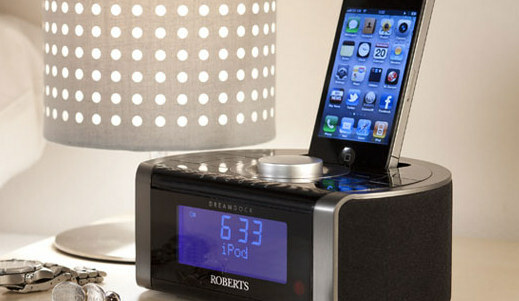 Magicbox Beam packs colour touchscreen, DAB and FM radio in a remote-controlled dock. Dual alarms and four colour finishes lets Tower fit in with your decor. 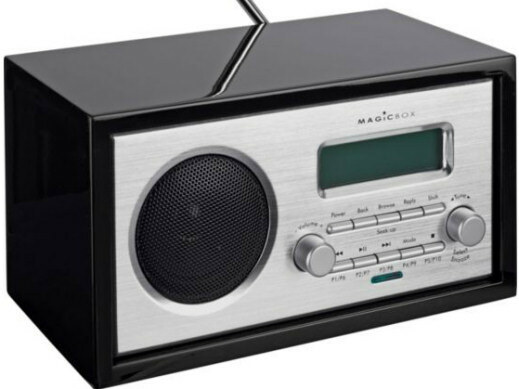 Easy to use radio offers unique Scandanavian design and access to digi & analogue radio. A new digi transmitter for the area means BBC stations can be heard in and around the town. 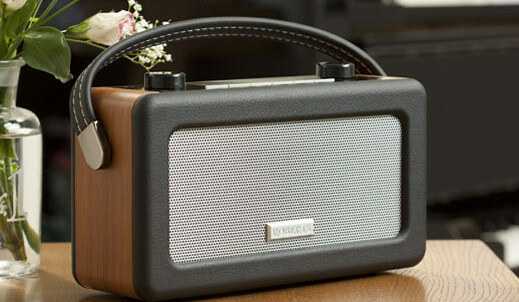 Brand new local DAB digital radio station for St Neots in Cambridgeshire, Black Cat Radio, can be heard in and around Peterborough and Cambridgeshire. Offering a truly local service for the town, Black Cat Radio is on the air now. 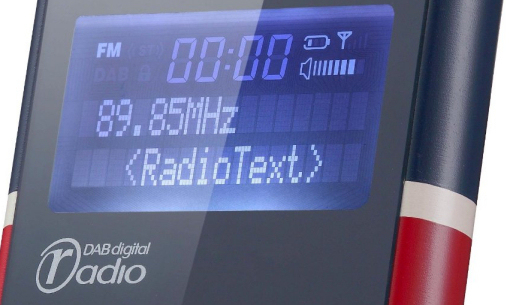 Listeners with a DAB digital radio in the broadcast area can receive the new station by performing an "Autotune" or "rescan" on their radio. Local DAB digital radio station Pop Up Radio will be popping up again from 16th January until 7th February 2012, joining the Celtic Connections festival in Glasgow, Scotland. The station will be on-air 24 hours a day, with live broadcasts from the Glasgow Royal Concert Hall daily from 11am until 7pm, including live sessions, interviews with performers and festivalgoers and extra performances from the Danny Kyle Open Stage. 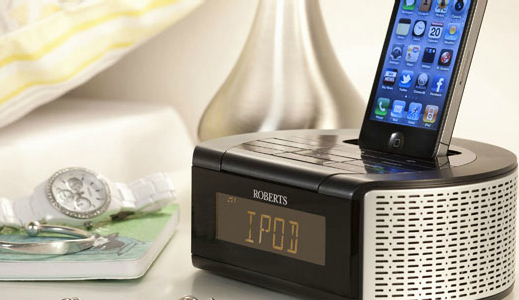 Check our local listings to see if Pop Up Radio is available in your part of the country. 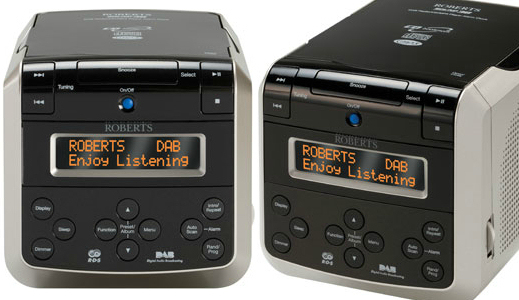 Listeners with a DAB digital radio in the broadcast area can receive Pop Up Radio by performing an "Autotune" or "rescan" on their radio. If you were lucky enough to receive a DAB digital radio for Christmas, you can't fail to have noticed a brand new seventies radio station Smooth Radio 70s on your radio's screen. The station is playing disco, pop and Motown hits from the decade. From Stevie Wonder to Rod Stewart, Diana Ross to The Carpenters, Smooth Radio 70s is available across England, Scotland and Wales on DAB digital radio, online and on your internet radio receiver. 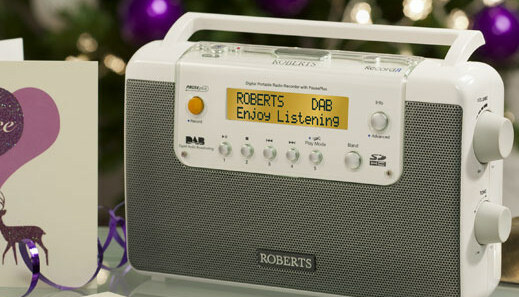 Listeners with a DAB digital radio in England, Scotland and Wales already receiving Smooth Radio can find the new station by performing an "Autotune" or "rescan" on their radio.